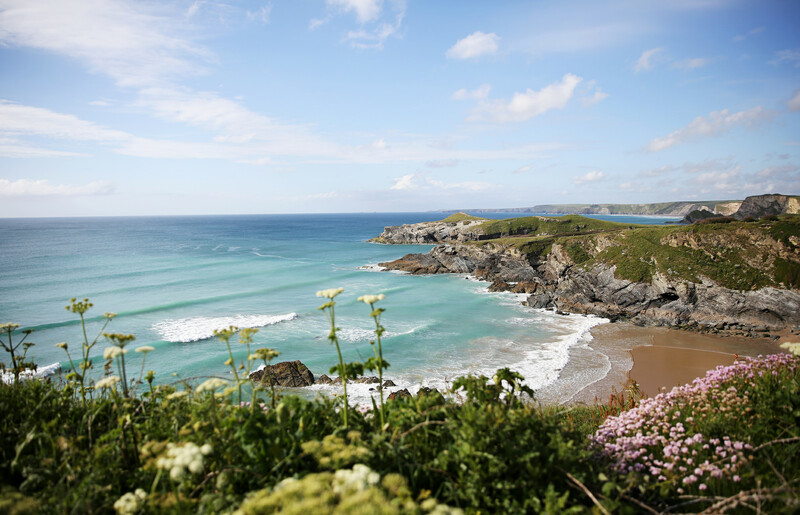 The beaches in Cornwall are gorgeous, it’s some of our favourite scenery in the world. If you stay with us you’ll have accommodation overlooking the waves at south Fistral. Plus, a trip to learn to surf is the perfect opportunity to explore the rest of Cornish coast, there’s much to discover. Not only are the beaches beautiful, but the water in Cornwall is stunningly clear and a beautiful turquoise colour. On a sunny summer day it rivals anywhere in the world. In the summer, the water is also surprisingly warm. From June to September when we run our beginner weekends you’ll be toasty in your wetsuit (which we provide : ). Everywhere we surf the waves break over soft sand, providing ideal conditions for learning. Cornwall has plenty of white water waves rolling in – the perfect place to catch your first wave. What’s more, Cornwall has some of the most consistent waves in the UK. Meaning there’s nearly always somewhere you can learn to surf. Always wanted to give surfing a try? 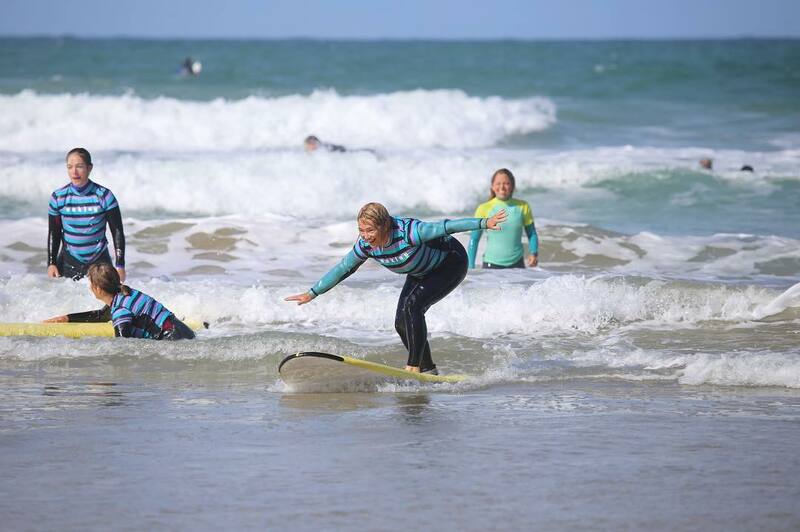 Cross it off your bucket list and come surfing with us in Cornwall this summer! Learning with Surf Sistas is fun, friendly, safe and supportive. There’s no pressure, just good times!